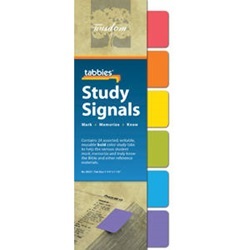 Designed to help the serious student mark, memorize and truly know the Bible and other reference materials. 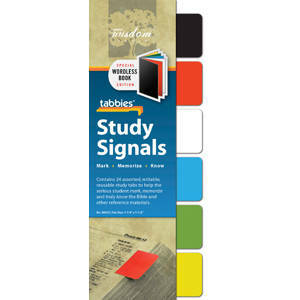 Writable, reusable color coded tabs to mark your place and flag important information, for quick access. Customize notes and organize content. Transparent adhesive area allows unobstructed views of margin notes and comments. 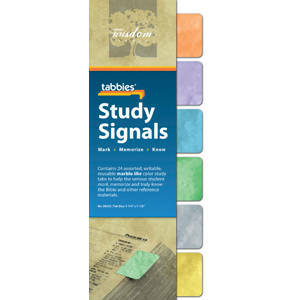 Unused tab sheet can be used as a bookmar, keeping your Study Signals close at hand and ready for service on-th-go. 24 tabs per package.